Here’s a cool story from the National Geographic Society that I found in my email this morning. It’s about how National Geographic grantees are using satellite technology to protect lions in Botswana. Placing satellite, radio, or GPS collars on elusive animals like lions (Panthera leo) is a common way to study them. The collars allow scientists to monitor the creatures’ movements remotely, which generates all kinds of spatial data that helps researchers learn more about the species. These collars can also help reduce human-wildlife conflict. 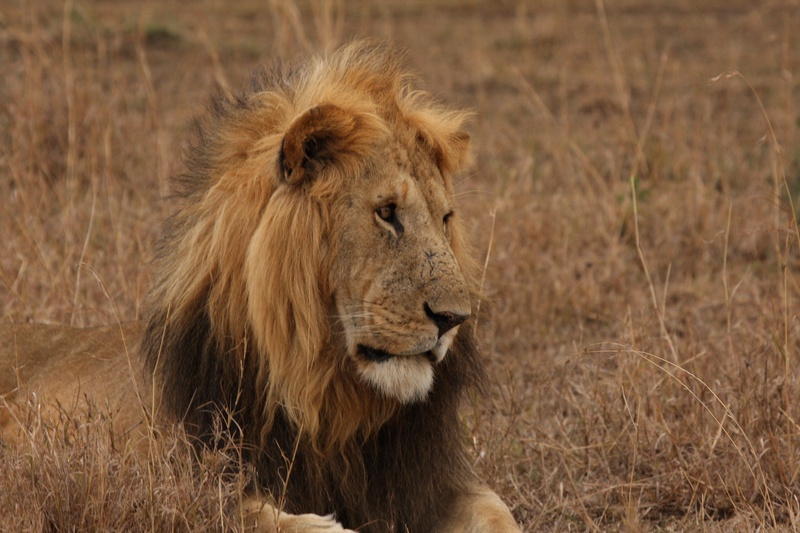 Human-wildlife conflict is a major threat to animals like lions. When the big cats attack livestock, it can engender hostility towards them amongst local people – who may then be more likely to kill lions and other predators. Thus, protecting domestic animals can also benefit wild carnivores. What National Geographic grantee Dr. Andrew Stein and his team have done is develop a set of coordinates called a “geofence.” When a collared lion crosses this fence, it sends a warning to local people. That means that participating herders have a chance to take action to protect their livestock, thus preventing human-wildlife conflict. Dr. Stein also just co-authored an academic paper on the lion alert system, in which Dr. Florian J. Weise was the lead author. Click here to read it. As always, the original article contains more information as well. Anything that helps us to co-exist with wildlife has to be a move in the right direction! That’s my thinking as well! I got some friends working on a project to see if they can incorporate automated drones into different fields from search an rescue to wildlife conservation. Sounds like a cool project! Are the drones supposed to serve as miniature, much more affordable helicopters? yes and the drones having cameras can provide surveillance, giving visual confirmation of whats happening at particular GPS co-ordinates, e.g. in the case of tracking collared animals or as right now to map out extent of damage by the cyclone and spot any survivors who need rescuing so helicopters can be deployed effectively with necessary provisions. Sorry forgive me, dear Josh!!!!! This is a wise idea, and Botswana are doing a fantastic job when it comes to conservation, it’s actually one of the few remaining safe haves for animals in the world. Yes, there’s a few countries in southern Africa that are doing relatively well regarding conservation, and Botswana’s one of them. I’d love to be able to visit and learn about the differences in countries like Botswana and nearby nations that are struggling more with conservation.